And here we are on the Tie One On Blog Hop Day 7. Great day to meet Debbie Brown! 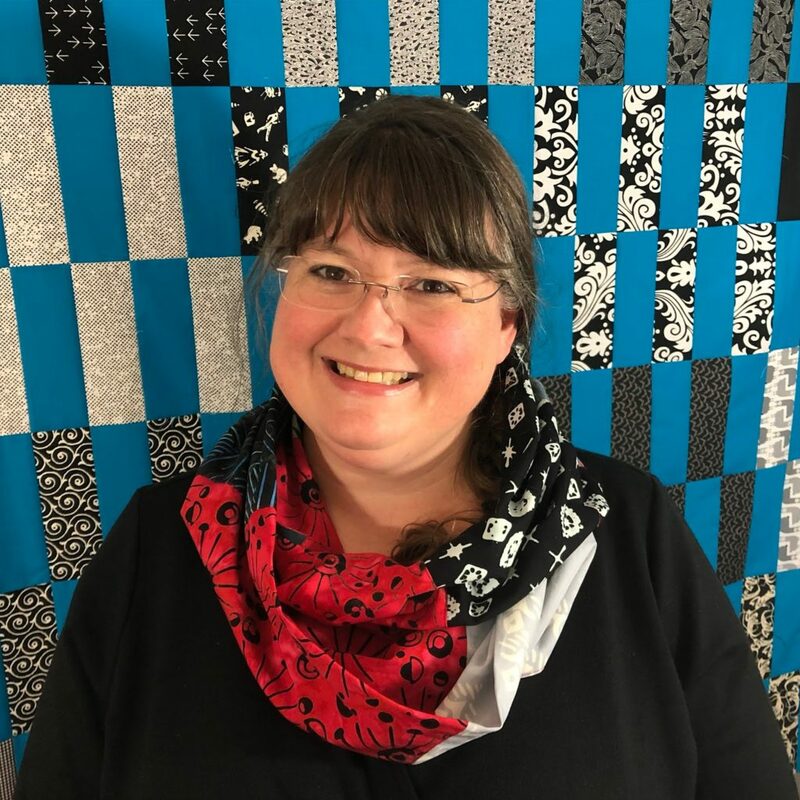 Here is a photo of Debbie wearing the infinity type scarf she made using her Scarves to Share pattern in the very trendy Manhattan colorway of Tie One On. 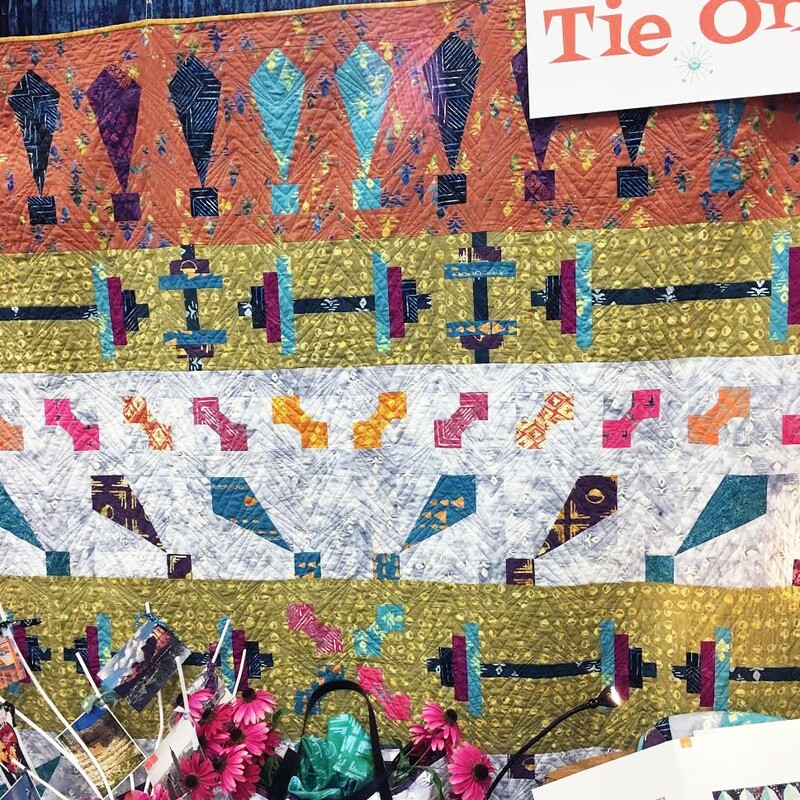 Check out her blog post for more on this scarf, a link to a little interview she and I did at Quilt Market, and a cool little project that she did with her scraps! 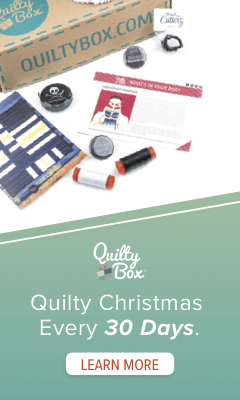 Plus of course the chance to win a fat quarter bundle from her post. So some of the following pix are from my iPhone and from Spring Market, because the times I have been home to work on these blog posts and take new photos have not had the best outdoor lighting – It’s those long shadows of Autumn causing me grief. This picture shows a tiny little Painted Forest quilt – highlighting each print from the collection. I made it from the strikeoffs before I had actual yardage. This large quilt is one of my new favorites. It is called Looking Good and should be available as a pattern as soon as I can get it out. I had wanted it finished up for you this month, but alas I am behind this year. I am Working on getting ahead of the game like the really good designers that I admire. In the meantime, I truly appreciate your patience! Can you see why I called it Looking Good? It’s totally a “guy-thing” because it emphasizes lifting weights and wearing neck ties and bow ties. Although of course girls can do this as well, I am simply speaking in generalities. I saw designs very similar to these in Vintage Trade blankets, and I thought this would be a cool project. This close up of Looking Good is a little closer to the real deal in color, but monitors may very. In real life, I love how this Rust with Blue came out! Here is a decent flat shot of another new quilt pattern, Dot Code – at least that is its name so far. I have been vacillating on the name for a long while now. I designed this simple quilt as an exercise in Value vs. Color. 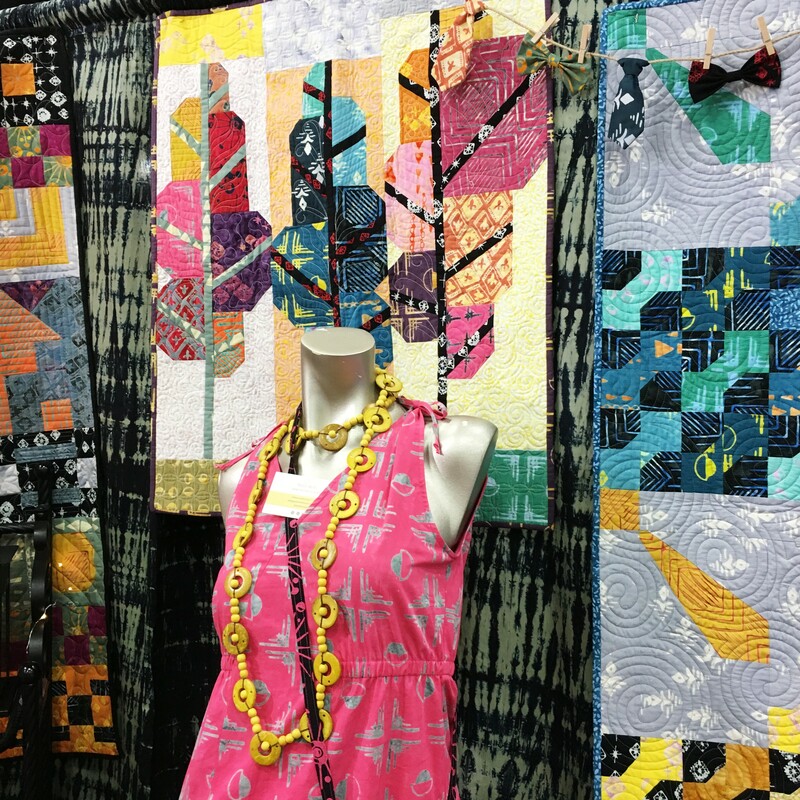 The formula is that each block should have one light, one medium, and one dark fabric. All of which is relative. Both Looking Good and Dot Code will be patterns available as soon as possible here as PDF’s and then later in shops as I get them printed and set up with the distributors. 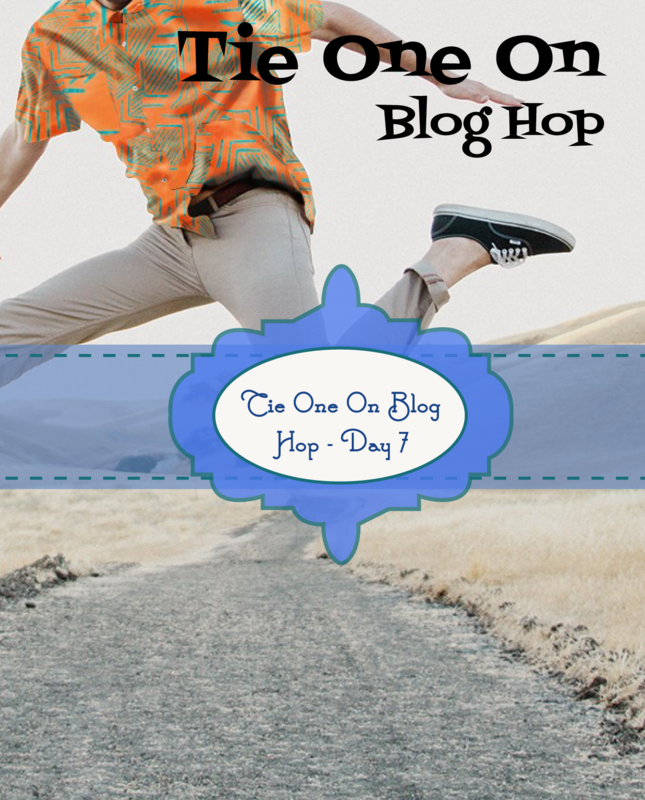 Make sure you stop by each of the stops on the Blog Hop tour! Remember each of them will be choosing one winner of a fantastic bundle of Tie One On Fat Quarters! And one commentor from each of my blog posts ABOUT these mighty fine peeps will win some little treat as well. 9/28 – Debby Brown — That’s TODAY! Hope that you are enjoying the Blog Hop so far, we have SEW much more fun stuff comin’! 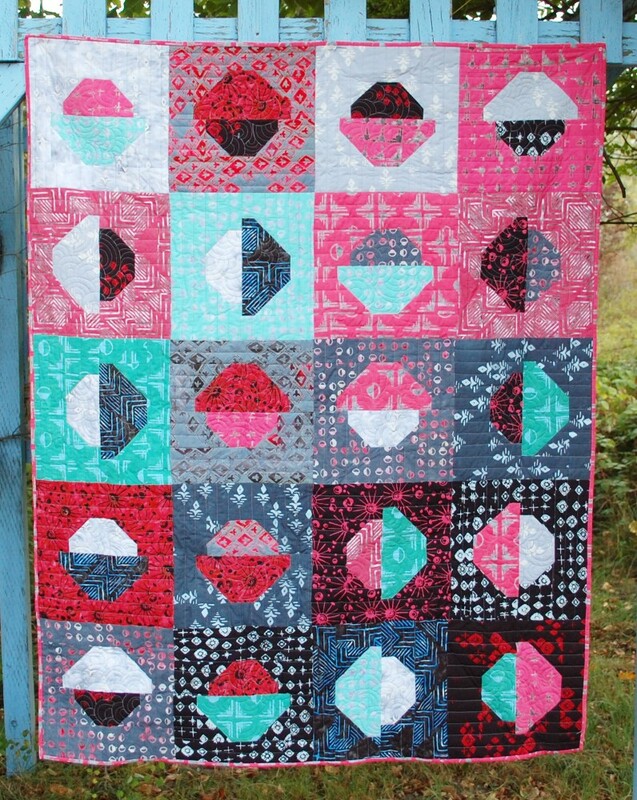 Love the Dot Code quilt! It reminds me of bowls of snow cones! What fun quilts! Thanks for sharing them! I love your forest quilt in this fabric! I got up out of bed to see the blogpost! Crazy huh? Love the Lookin Good.. The neck ties are so cool. Reminds me a little of the needles from yesterday! Goodnight. I enjoyed Debbie’s post. 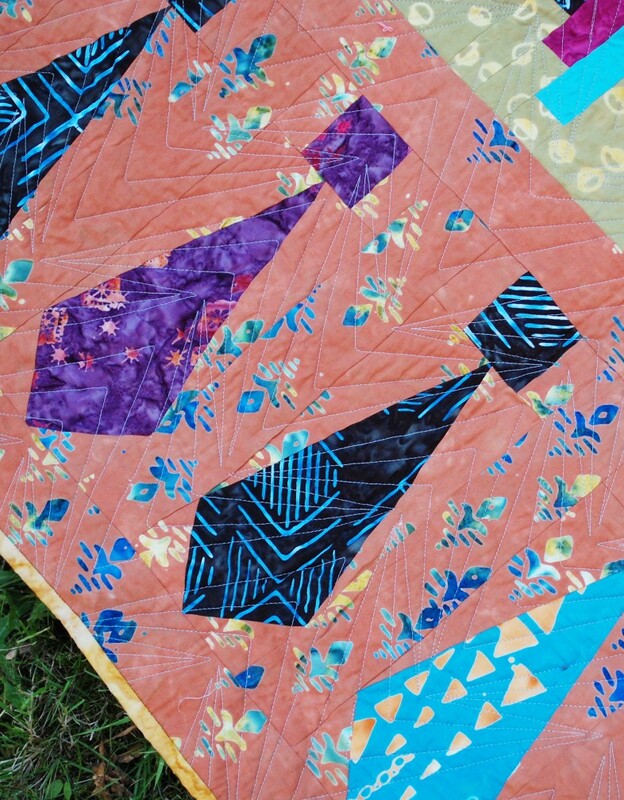 I can’t stop looking at the combination of colors in your Looking Good quilt. I wasn’t able to pull your blog post up last night, it’s the first thing I did this morning. I looked your quilts, especially Dot Code. I was thinking it looked like bowls of ice cream! I recently took a class from Debby at my LQS. She is a lot of fun! Plus she taught us some really great ruler techniques. The scarf she made with the Tie One On fabrics is gorgeous. Debby did an awesome job using your fabrics to make the scarf and postcards. I never would have thought of this. I am thinking that your pink and black fabric would really look beautiful in a scarf. Loved your quilts. Dot Code is my favorite.It looks like all flavors of ice cream. Just had to say Love the Trees in all the wild colors. They inspire me! Scott I enjoyed this blog hop with such creative projects and such pretty pretty fabrics. Congrats to you on this new line. I love her scarf, it looks great.